Keep it secret. Keep it safe! Are you backing the EOG at Steward level or higher? 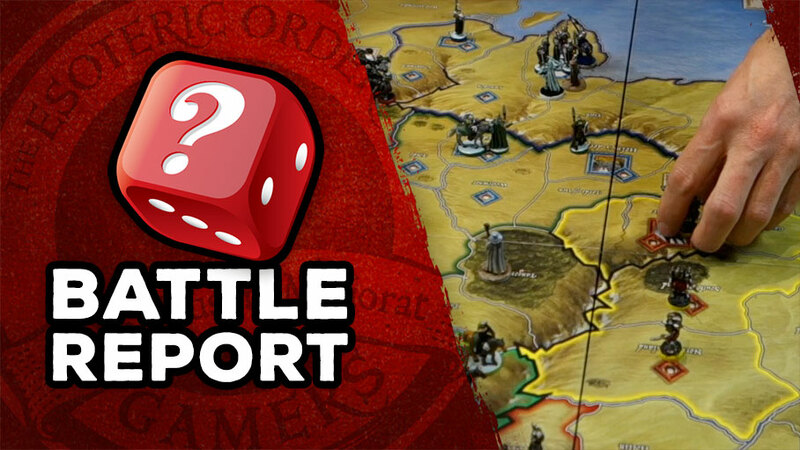 Well here’s a special bonus for you: a new War of the Ring battle report video, with my thanks! Here it is folks, the special bonus battle report for patrons of Steward level and higher! Peter and Will pull out all the stops and play War of the Ring with BOTH expansions. And make a bit of a hash of it, truth be told, but then again, when I look back to our first WotR games, they were a bit ragged around the edges too. But never mind, we had a good time, and I hope you do too! If you’re backing the EOG on Patreon, you’ll see the video link in your normal news feed there. If you’re backing directly through this site, you’ll receive an email with the video link. If you know you’re a backer of the right level and don’t get your email, please check your junk mail folder first, then contact me directly. And of course I’d very much appreciate it if you didn’t share your video link with all and sundry. It may go public one day, but that will be way down the track! My sincere thanks to everyone who helps me keep the EOG going and my little dream alive. It means a lot to me. Thankyou! If you enjoy haven’t done so yet, please consider becoming a regular patron of the EOG (either via Patreon or directly), and join me on my quest to make the best tabletop gaming content on the internet!